Installing apps from the App Store is one of the things that makes the iPhone, iPad, and iPod touch so great. With those apps, you can add all kinds of features and fun to your device. But what about other Apple devices? 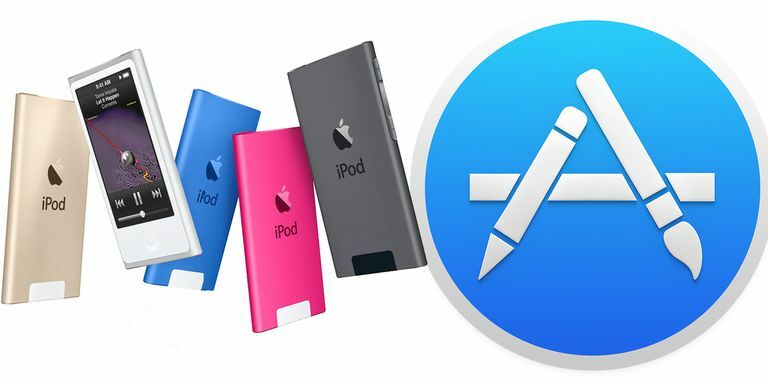 If you own an iPod nano, you may be asking: Can you get apps for iPod nano? The answer depends on which model you have. The most recent versions of the nano — the 7th and 6th generation models — present sort of a confusing situation when it comes to being able to run apps. The operating system that runs on these models looks and acts a lot like the iOS, the operating system used on the iPhone, iPod touch, and iPad. Add a multitouch screen and Home button — on the 7th gen. model, at least — like those devices have and these models of the nano sure feel a lot like a miniature iPod touch. They seem so much like mini-touches that it's easy to assume that these iPods are running a version of the iOS and, because of that should be able to run apps. But appearances are deceiving: while the operating system on the 7th and 6th Gen. iPod nanos looks and acts in a similar way, these nanos do not run the iOS. Because of that, they don't support third-party apps and you can't get apps from the App Store that run on them. The 7th and 6th generation iPod nanos come pre-loaded with apps created by Apple. These include an FM radio tuner, pedometer, clock, and photo viewer. So, these ​nanos obviously can run apps, but they don't support any non-Apple apps created by third-party developers. There's also no jailbreak for these models that allows unofficial apps to be added. For these models to support third-party apps, Apple would have to release tools and guidelines to support developers creating apps. It would also need to provide some a way for users to get and install the apps, like an App Store. Given ​that Apple officially announced the end of the entire iPod nano product line (along with the iPod Shuffle) in July 2017, it's a safe bet that that will never happen. In addition to those, users could add games and study tools that were available through the iTunes Store (this was before there was an App Store). These apps generally cost US$5 or less. There was never a huge number of these apps and games, and Apple removed them from the iTunes Store in late 2011. If you bought these apps for your nano in the past, you can still use them on models that support them. Despite Apple no longer offering apps for the iPod nano, there are a few websites where you can download text-based trivia games, including iPodArcade. You may also be able to find some of the games that used to be sold through the iTunes Store on file-sharing sites. This isn't technically legal, but it's the only way to get those games these days. Like the 3rd, 4th, and 5th generation models, the two original generations of the iPod nano came with a few pre-installed games provided by Apple. Those games were Brick, Music Quiz, Parachute, and Solitaire. Unlike the later models, there were no games and apps available at the iTunes Store for these models.